Discussion in 'Indian Air Force' started by R!CK, Dec 24, 2016. The Hawk Advanced Jet Trainer (AJT) has clocked 100,000 hours of flying hours with the Indian Air Force (IAF). The IAF operates Hawks based out of Air Force Station in Bidar in Karnataka. The IAF also has its Surya Kiran aerobatic display team now flying the Hawks. The team’s first public display on four Hawks was at AFS Hindon during Air Force Day celebrations in 2015. Since November 2016, the team has added two more jets to the display team and eventually the strength will be raised to nine. BAE credits the latest milestone to the longstanding association with the IAF and HAL. “Together, BAE Systems and HAL are committed to strengthen their relationship through ongoing discussions on exploring long-term sustainable business opportunities, globally,” says a company release. For HAL, often at the receiving end for cost and time overruns, the Hawk programme set new benchmarks. The Hawk team at HAL has been credited with sticking to the deadline and even finishing the deliveries ahead of schedule. Riding on the success of Hawk production, HAL has even now replicated the same philosophies for the Tejas production line. “Some of the best production lessons from the Hawk line is already been adopted at the new LCA Division. The jigs, the structural and assembly lines have drawn inspiration from the Hawk model,” says a DGM with HAL’s Tejas Division. BAE says it continues to work with HAL towards the successful completion of a potential order to supply products and services for the manufacture of a third batch of Hawks, building upon previous orders of 66 aircraft in 2004 and a further 57 aircraft in 2010. The Indian Navy operates around 17 Hawks, mostly based out of INS Dega in Visakhapatnam. NEW DELHI: In a major fillip, Hindustan Aeronautics Limited (HAL) has rolled out the first indigenously upgraded Hawk Mk132, named as Hawk-i trainer aircraft. “This is the 100th Hawk aircraft produced at HAL and we are proud that it has the "Make in India" mark. HAL had conceived a programme for indigenous upgradation of the Hawk Mk132 for achieving self-reliance and has successfully accomplished it”, says T. Suvarna Raju, CMD, HAL. This aircraft would be on the flying display in the forthcoming Aero-India 2017 at Bengaluru. The upgrade of HAWK Aircraft was taken up at HAL so as to be independent in matters such as integration of new sub-systems or modifications, obsolescence management of avionics systems and to enhance the aircraft operational and training capabilities. HAL has rolled out its own aircraft with the upgrade features in a record time. According to HAL, in the Hawk upgradation programme, imported Mission Computer and Data Transfer Units have been substituted with HAL designed and developed systems. This indigenous Mission Computer in the dual redundant configuration has additional capabilities such as Digital Map Generation (DMG) which provides improved situational awareness. The Embedded Virtual Training System (EVTS) offers improved training capability over the existing system. "HAWK-i also provides a secured voice communication and data link capability by integration of Softnet Radio and pilots can configure and select cockpit Human Machine Interface (HMI) for different aircraft platforms," HAL official said. Grevion, dadeechi, Abingdonboy and 8 others like this. Can these be modified to be CAS aircraft. 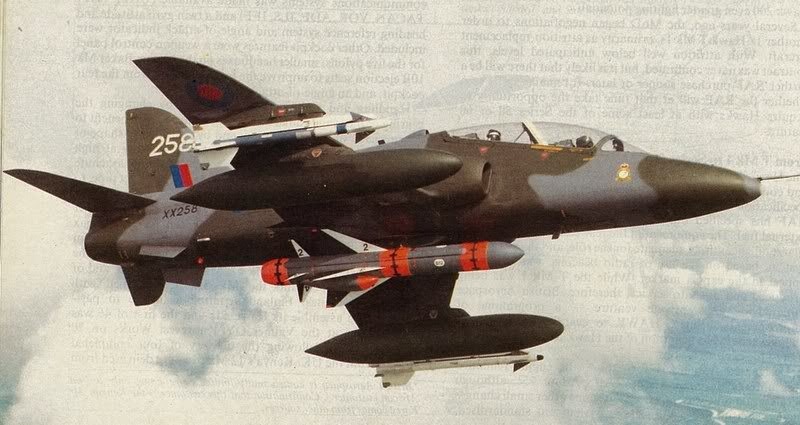 Would be wonderful if it could use light PGM and two IR/RF missiles. It's said that something related to this (maybe a mock-up) could be seen at the upcoming Aero India. Be on the lookout! kiduva21, zebra7, dadeechi and 5 others like this. zebra7, dadeechi, GuardianRED and 1 other person like this. It is under production ? LSPs ? Defence minister Manohar Parrikar reportedly has asked Hindustan Aeronautics (HAL) to stop manufacturing more HJT-36 jet trainers till issues with its spin related issues are resolved . According to Annual Report of Hindustan Aeronautics for 2015-16 , HAL had produced two improvised units of HJT-36 jet trainers for FY2015-16 which helped it overcome problems related to stall tests but still it failed in its spin tests which is one of most crucial requirements needed to be cleared before HJT-36 hits production. HAL has produced 8 HJT-36 jet trainers of which Two were Prototypes and Six were Limited Series Production (LSP) aircraft with aircraft serial number from S3851 to S3856 and had clearance to produce 12 LSP and 73 Production grade HJT-36 to be handed over to Indian Air Force for its Stage-II Pilot training program to replace ageing Kiran MK-II trainers . 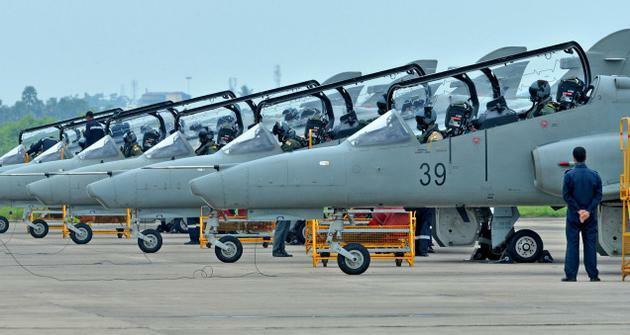 Defence minister Parrikar also confirmed to reporters that he has no plans to procure similar trainer aircraft from abroad and also has withdrawn previously issued request for information (RFI) by the previous regime . According to sources close to idrw.org HAL is left with no option but go with major structural changes and modification to fix its spin issues which might further delay the program by 3-5 years and last of Kiran MK-II will be withdrawn from active service by 2019.
idrw.org . Read more at India No 1 Defence News Website , Kindly don't paste our work in other websites http://idrw.org/parrikar-asks-hindu...top-manufacturing-hjt-36-jet-trainers-report/ . HAL needs to be split into smaller - more manageable - groups I think. this is getting ridiculous. I am willing to bet a lot of money the "Combat Hawk" will never see service in India, at this point I don't think it will ever even be put into production. zebra7, Guynextdoor, Gessler and 1 other person like this. Me too...I've also seen people putting forward ideas like using these Combat Hawks as a counter-insurgency aircraft against the naxals, which I think is ridiculous beyond words. We need airborne surveillance capability against the Reds, not firepower. That would create more naxals than it kills, plus drawing unnecessary international attention. However...I'm somewhat optimistic about the export prospects of these planes. We have see low-cost attack aircraft like the Tucano achieve some export success. BAE is an established player, and if we make the plane in India it'll cost less than any Hawk made in the UK. A joint BAE-HAL JV company can be floated to look for customers in the Middle-East, Latin America, Central Asia, SE Asia & Africa. I wonder if Afghanistan would be interested (we'd have to bear the burden of cost in this case though...plus they already have the Super Tucanos). Let's see what it's all about...we'll get some answers next month. kiduva21 and AbRaj like this. Kenya is set to receive 12 Air Tractor AT-802L intelligence, surveillance, and reconnaissance (ISR) and light attack turboprops and two AT-504 trainer turboprops from the United States, the Defense Security Cooperation Agency (DSCA) disclosed on 23 January. The notification of State Department approval for the procurement includes weapons and contractor support from Air Tractor and the mission systems integrator (and prime) L3 Technologies. It is valued at USD418 million. As noted by the DSCA, the AT-802Ls will augment the Kenyan Air Force's Northrop F-5 Tiger II combat aircraft in the country's fight against al-Shabaab militants that are operating in the north and across the border in Somalia. Being a rugged turboprop platform, the AT-802L can be forward deployed to austere locations closer to the battlefield than the more refined and maintenance-heavy F-5. No timeline for delivery was issued, though the DSCA did note that Kenya is a troop contributor to the African Union Mission in Somalia (AMISOM). This mission is due to formally end in 2018, though the requirement to combat Islamist militants in the region will no doubt continue after this date. The deal must now be approved by Congress. Air Tractor launched its AT-802U ISR and light attack turboprop at the Paris Airshow in 2009. The AT-802L designation is a new one for the platform, and has likely come from the later teaming with L3 Technologies (Air Tractor had not responded to a request for clarification at the time of writing). Air Tractor was originally partnered with IOMAX as its prime, during which time a contract for 24 AT-802 (sometimes designated AT-802i) aircraft for the United Arab Emirates (UAE) was secured. However, this partnership fell apart not long after and Air Tractor continued on its own before joining up with L3 Technologies. As IOMAX was the prime on the UAE contract, Air Tractor and L3 Technologies needed to redo the process of weapons certification for the AT-802U. there's no use for that category. One thing is absolutely clear- after our disastrous and stupid use of Airforce in NE in the 1960s, India will never use it again for managing internal situations. Which means that we will need only war grade jets- LCA and above. so we should weaponize the Basic Trainer for that market. Navy has the mindset to use it's Hawks for CAS in amphibious scenarios. A nice way to get it killed.